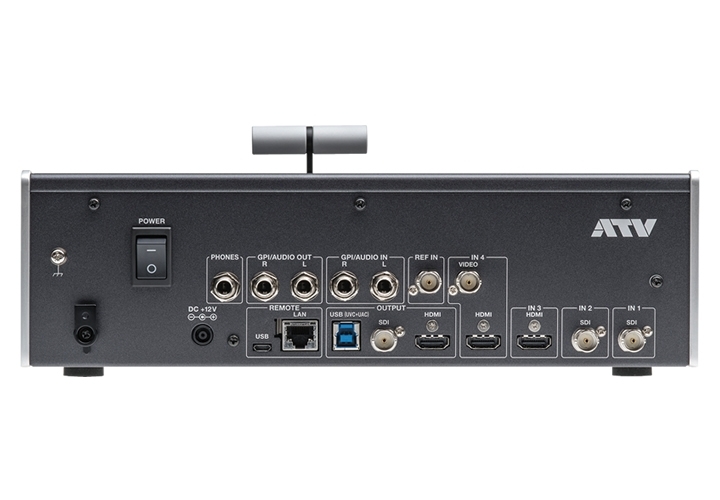 AV mixers, which play a core role in audio-visual production is the A-PRO-4 that supports information sharing in real time, such as live video streaming via the internet. 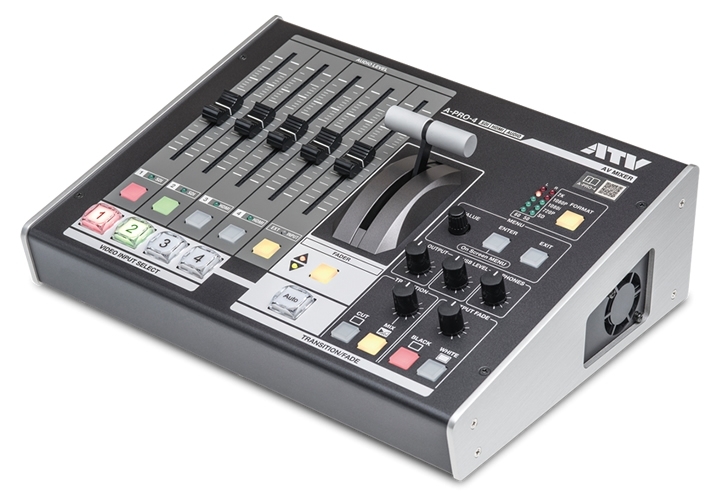 Particularly, the A-PRO-4 has professional-grade SDI, consumer-grade HDMI and analog video inputs, and one of the inputs has a built-in scaler that allows users to connect devices without worrying about resolutions or frame rates. For an external sound source, the unit has one stereo input available for adding a commentary or background music. The world is now in the age of live video streaming. Presently, people are becoming more and more interested in “experiences” that can be shared with others rather than “materials,” i.e. finished products. Within this major trend, live video streaming via the Internet is gaining increased importance. In today’s world, we can promptly share what is happening in front of us on occasions such as meetings, presentations, seminars, events and symposiums, etc. with people having common interests. As such, information sharing in real time is continuously accelerating the evolution of our society. Live video streaming technologies are supported by devices called AV mixers, which play a core role in audio-visual production. 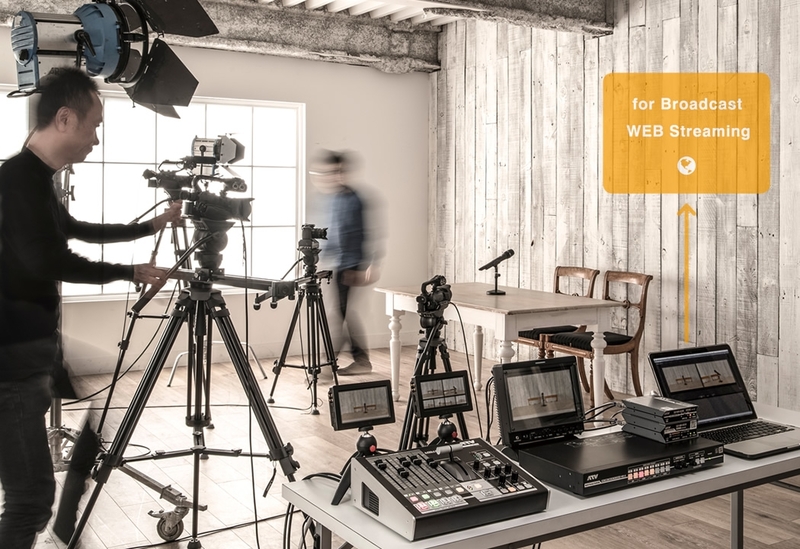 Particularly, the A-PRO-4 has professional-grade SDI, consumer-grade HDMI and analog video inputs, and one of the inputs has a built-in scaler that allows users to connect devices without worrying about resolutions or frame rates. For an external sound source, the unit has one stereo input available for adding a commentary or background music. With its easy-operation design, each function is allocated to one button/knob so users can intuitively understand how to operate the unit. The USB terminals on the rear panel can be used directly for web streaming. 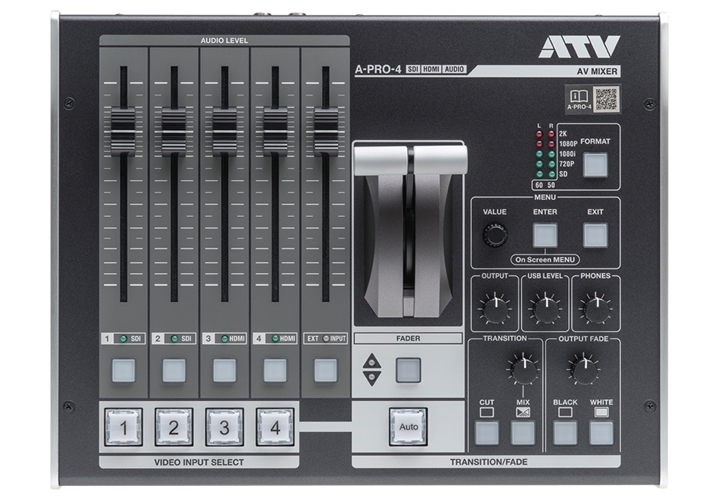 The easy-to-use, professional-quality AV mixer “A-PRO-4” is now available to deliver maximum results to you. For switching between the four video sources, easy-to-understand select buttons are employed to assure simple usability for beginners. Switching is allowed not only for a program’s main line but also for preview output. 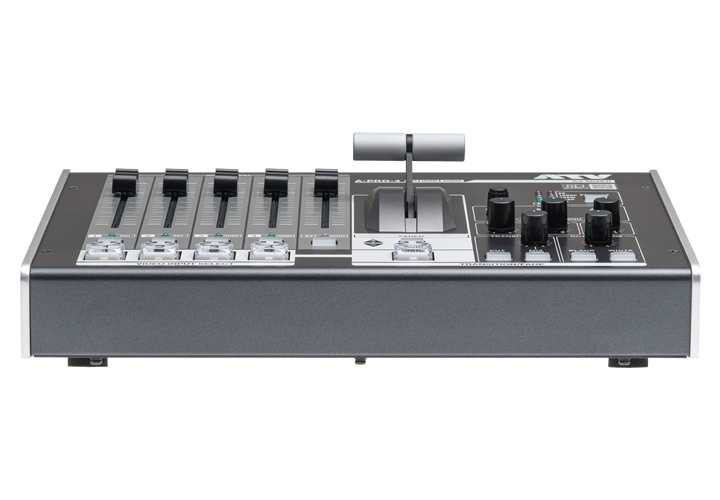 In addition, the unit has a VIDEO fader feature convenient for transitions and a 100 mm-stroke AUDIO LEVEL fader is available for mixing the five audio inputs. You can fine-tune the levels with ease. Video input resolutions from 720x480/59.94i to 720P and 1080i/P are fully supported and resolutions up to 2048x1080-60P may also be used. The 10-bit/4:4:4 internal processing provides clear video output with no color bleeding even for output to a projector or LED display. USB terminals on the rear panel provide video and audio streams suited for live video streaming via the Internet. Your PC/Mac will recognize the unit as a USB camera, so you can use it with the web distribution software of your choice. Output of resolutions of up to 720x480/59.94i with USB 2.0 connection and up to 2048x1080/59.94P with USB 3.0 connection is possible. The fourth video input has a built-in scaler that converts video resolutions. Video signals in system formats non-compatible with this unit are automatically converted by the scaler to a compatible output when connected to the fourth input terminal. Black burst, binary synchronization, and HD ternary synchronization signals can be used as reference inputs. This allows you to build a synchronous system using this unit as a core system component, or integrate this unit into an existing system as a high-definition sub-switcher. By connecting your PC/Mac with the LAN terminal on the rear panel you can modify the menu parameters as desired via a web browser. Moreover, the audio IN/OUT terminals may be used as GPI IN/OUT terminals. 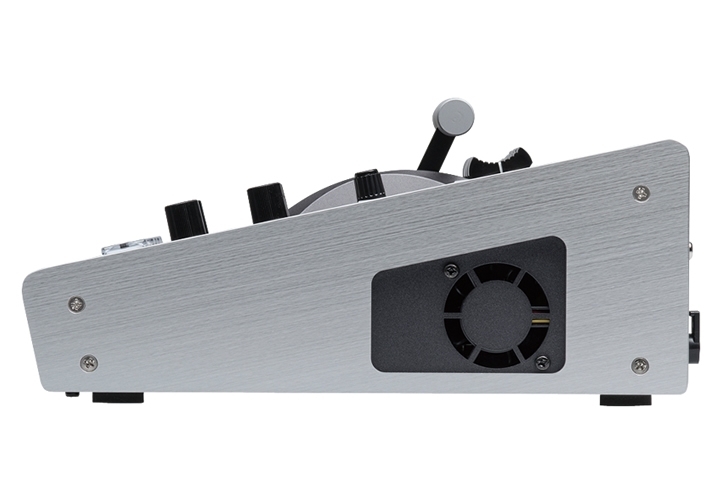 One audio terminal can accommodate two GPI channels, so you may utilize eight GPI channels in total.